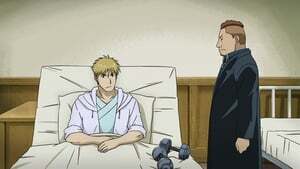 Ed passes on what Riza told him to Al, and the two contemplate about what to do after they complete their objectives, and as to why Scar and May’s alchemy worked when their’s was blocked. However, May had run off, so they go and look for her. 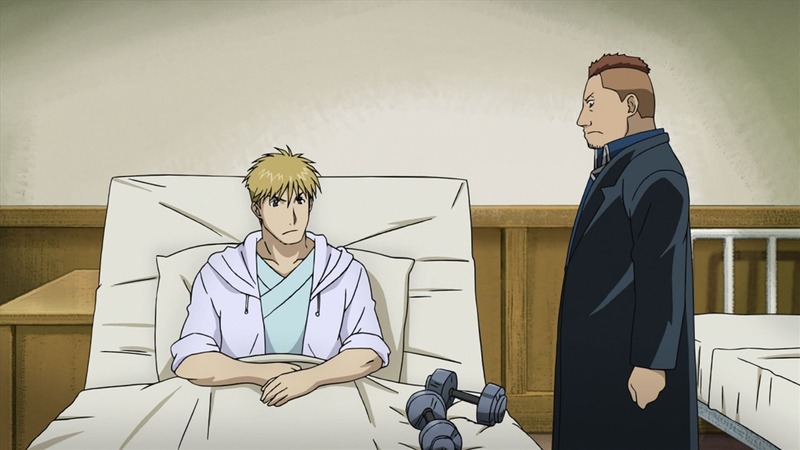 Meanwhile, Riza, Breda, Fuery and Halman say their goodbyes as they are sent to different HQs, with Roy finding a hidden message inside a chess set Halman gave him. Roy later reminds Ed that he owes him 520 cenz, but Ed decides to keep ahold of it until he becomes Fuhrer. Roy uses the note he got from Falman to make contact with Grumman. Meanwhile, Fu is shocked to find Lan Fan had lost her arm, and declines Ed’s help to find an automail mechanic, since it would involve his acquaintances in their troubles. 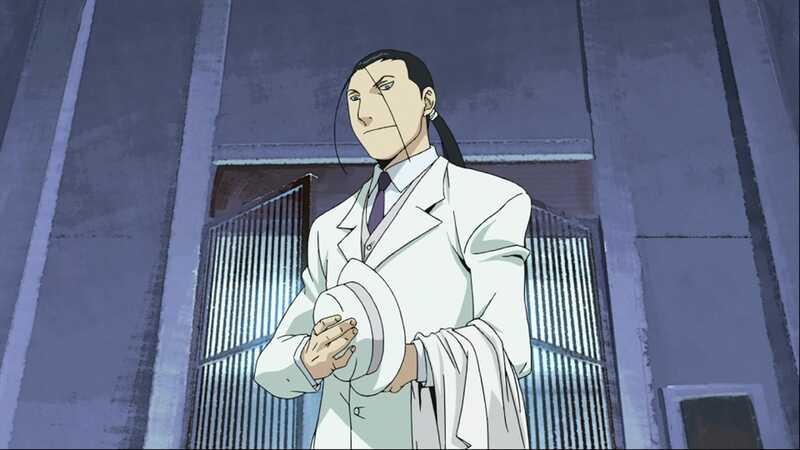 Afterwards, Knox gets a visit from his children, who are pleased to hear he’s been able to successfully treat patients. Realising that Marcoh had escaped along with Scar, Envy releases Kimbley from prison, giving him to the task to retrieve Marcoh and kill Scar. Wanting to find out more about Kimbley and the secrets behind his brother’s alchemy, Scar destroys Marcoh’s face so it won’t be recognised, before heading off to the North to recover his brother’s notes.